Eindhoven is the 5th largest city in the Netherlands, but its inhabitants and visitors feel it’s more like a village. The Eindhoven area originally consisted of 6 villages, each with its own rich history and traditions. 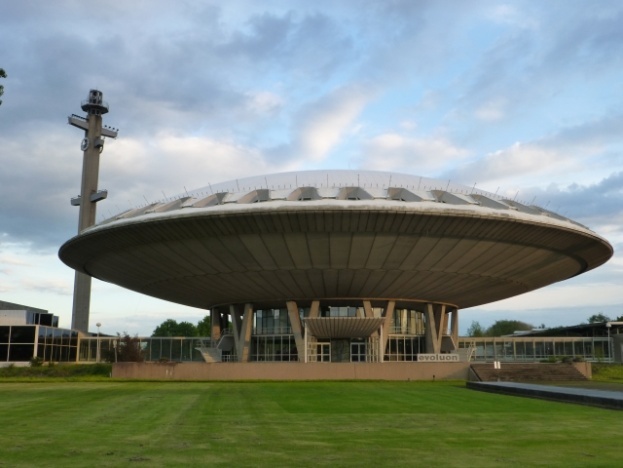 And although they have come together in a very modern dynamic city with all facilities that comes with a large municipality, you’ll find the “Brabantse gezelligheid” everywhere you go. Brabantse gezelligheid can roughly translated be as: the sociability and coziness of Brabant; Brabant is the province to which Eindhoven belongs. But to really understand what it means you will have to experience it! Industrial activities in Eindhoven boomed with the rise of lighting and electronics giant Philips, which was founded as a light bulb manufacturing company in Eindhoven in 1891. Since then both Philips and Eindhoven grew, attracting all kinds of technological developments. Philips’ very first light bulb factory is now a monument and part of the Philips museum right in the center of the city. 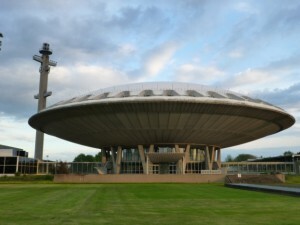 Another industrial monument is the location of the DAF museum. A tour of the DAF Museum (Van Doorne’s AanhangwagenFabriek” (trailer factory) ) will take visitors from one surprise to the next. The inventiveness that has been characteristic for DAF vehicles from 1928 till the present day will even captivate visitors who have no special knowledge of the subject. 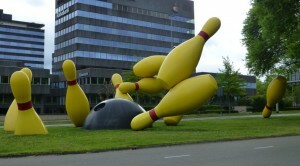 But next to industry Eindhoven is also the center of design and art. 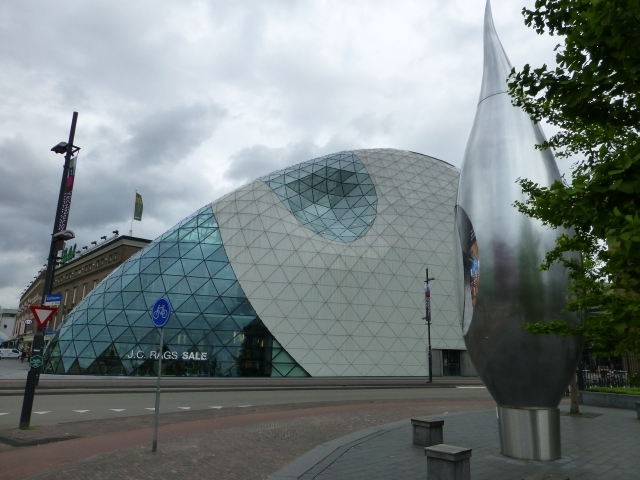 Eindhoven is home to the best design academy in the world. The work of the Design Academy Eindhoven faculty and alumni have brought it international recognition, but also influenced the cities own developments in design. 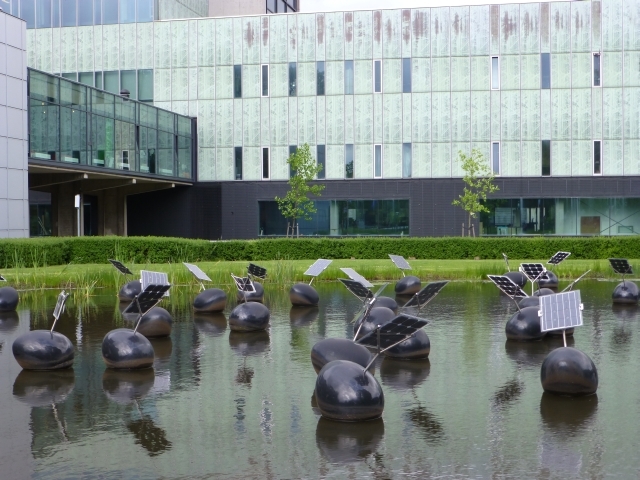 Events like Glow and the Dutch Design Week attract hundreds of thousands visitors every year. 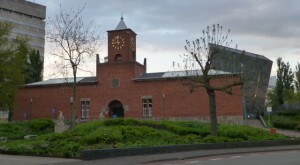 Van Abbemuseum is one of the first public museums for contemporary art to be established in Europe. The museum’s collection of around 2700 works of art includes key works and archives by Lissitzky, Picasso, Kokoschka, Chagall, Beuys, McCarthy, Daniëls and Körmeling. But for those who enjoy art of the 19th century, especially Vincent Van Gogh, neighboring town Nuenen is the place to be. Van Gogh lived and worked here several years and you can see what he saw and painted: farms, churches, wind – and watermills. 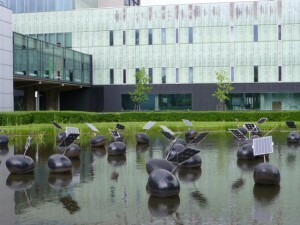 The Stadswandelpark houses many art sculptures, an observatory and music stand. This park is home to many types of trees, and the small river de Dommel runs through it. 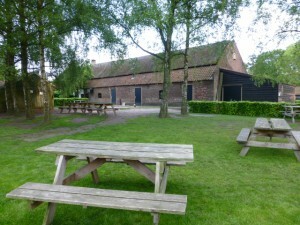 The Philips de Jongh wandelpark is next to De Herdgang. 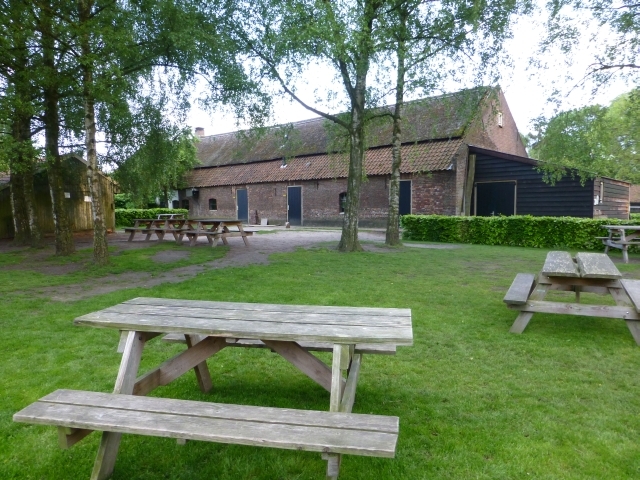 De Herdgang is the accommodation where the professional football team of PSV Eindhoven trains. PSV has been the home for many Dutch and foreign football talents and you might spot the team doing their match preparations in the Philips de Jongh wandelpark. The Genneperparken is home to an educational farm you can visit, but also includes ice skating rings and the national swimming pool where the Dutch Olympic champions train. Eindhoven attracts year after year thousands of (international) students because of the Eindhoven University of Technology, the Fontys University and the Design Academy. Which of course has resulted in a bustling city centre with a huge variety of shops, numerous bars, pubs and restaurants, welcoming terraces, a lively nightlife, an overflowing events calendar. Pubs, live music, theater, cinemas whatever you like to enjoy during your afternoons or evenings you can find it in Eindhoven. Eindhoven is located in the south of the Netherlands. By road it’s only half an hour to both Belgium and Germany. Eindhoven has its own airport, which is mainly used by low cost airlines that operate on 66 destinations within Europe. For travelers from outside Europe, Eindhoven has a direct train link with Schiphol/Amsterdam-airport, which takes less than 1,5 hours. The Lichtjesroute (Route of Lights) is a three week festival held every autumn in Eindhoven. It starts with a parade on 18 September, celebrating the liberation of Eindhoven during World War II on that date in 1944. The Lichtjesroute is celebrated not only to commemorate the liberation, but also to create an illusion of “fairytales in light”. The route is about 25 kilometres (16 mi) long nowadays. Families usually travel the route by car; but officials have also made it friendly for cyclists who want to follow the route. The route is indicated by reflecting “pointer” signs that show an arrow and a red picture of a light bulb. Also bus tours with commentary are organized, so everyone will be able to enjoy this special route of light. 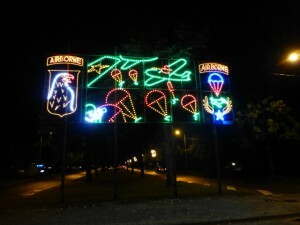 Along the route, various frames with ornaments made from lights are mounted onto lamp posts. The ornaments depict various objects and animals; some have World War II–themed imagery. The placement of the ornaments changes each year, but in some places, the same ornaments are shown each year.